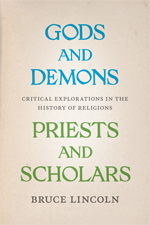 In Gods and Demons, Priests and Scholars: Critical Explorations in the History of Religions, Lincoln’s “How to Read a Religious Text” is anchored in decades of work with mythological or canonical texts, while the six points deployed have their origins in his prior work, Theorizing Myth (Lincoln 2012, 5-15; Lincoln 1999, 150-155). The sections from the Chandogya Upaniʂds that Lincoln uses to illustrate his points thus fall in line with a number of his selected examples over the course of his career, and add to this the analysis of relatively discrete events. The essay will apply Lincoln’s six lines of inquiry to Sara J. Duncan’s Progressive Missions in the South and Addresses: With Illustrations and Sketches of Missionary Workers and Ministers and Bishop’s Wives (1906) to walk through the utility, limits and necessary adaptations that surface when Lincoln’s categories are applied to other types of religious texts beyond myth and canon. The steps induce a disjuncture for the reader from the deceptively simple, elusive task of “just understanding what occurs within a text,” religious or not, and shifts the focus to how and why it was produced, contextual markers and the observable social tensions. The questions are useful in sorting through the complexities of Progressive Missions. As General Superintendent of the African Methodist Episcopal Church’s (AME) Women’s Home and Foreign Missionary Society (WHFMS), Duncan’s compendium is designed to (among other things) galvanize Southern black Methodist women to action within the AME; fend off Northern AME hegemony; refute white racism, note Southern black civic and business accomplishments; include narratives of middle class and poor women as religious exemplars and assert the capacity of women to serve God as equals–if not more–to men. In the texts Duncan authors and through her editorial choices within the volume, she simultaneously acknowledges and sets aside social expectations. This entry was posted in Book Reviews, Ipsita Chatterjea, Religion and Theory, Theory and Method, Uncategorized and tagged Bruce Lincoln. Bookmark the permalink.